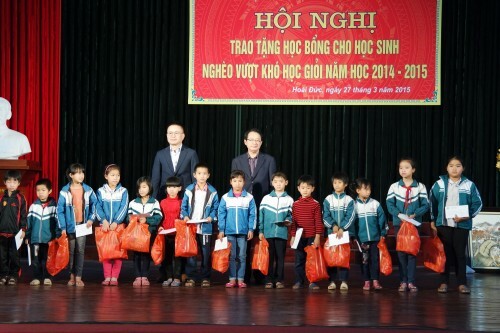 Follow 2011 and 2013, dated 27th March, 2015, Sungshin Vina Co., Ltd cooperated with Hoai Duc People Committee to present scholarships for disadvantaged pupils with good academic records and . 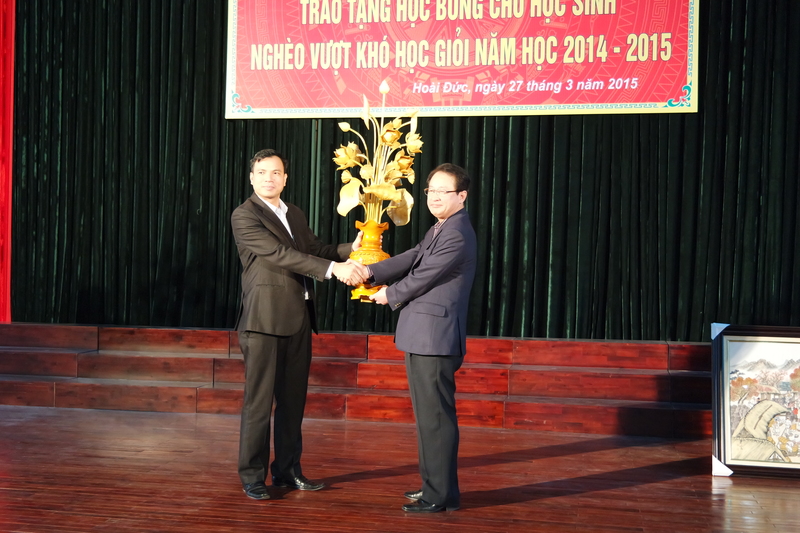 100 scholarships were presented to 100 pupils with total value of 100 million VND. Members of the ceremony consist of : Mr. Kim Young Chan – Vice President of Sungshin Cement Jsc., Mr.Ahn Young Youp – General Director of Sungshin Vina Co., Ltd, Mr.Nguyen Trung Thuan – Vice President of Hoai Duc People’s Committee, Head of Hoai Duc Department of Labour – Invalid and Social Affairs, Schools Administrators, teachers and pupils of primary schools and high schools. 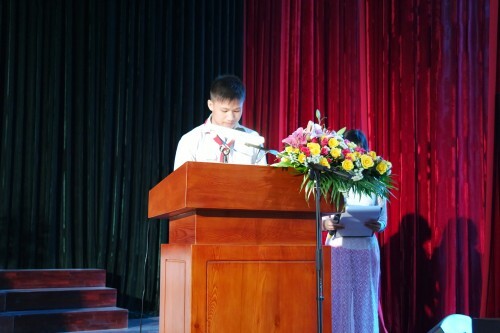 In the ceremony, on behalf of all pupils, Nguyen Tai Linh – scholarship holder of grade 9A, Nguyen Van Huyen high school shared: “ When I was 5 years old, my family got the happening so my mother left, let my father endure burden and we were short of my mother’s love. Overcoming all difficulties and miseries, I always try to be a good pupil and achieve good achievements at examination of Hoai Duc District and Ha Noi City.”. In the ceremony, Mr.Kim Young Chan delivered the speech to congratulate all pupils and hope that this scholarship can support the pupils. He also expected all pupils will try their best and study hard to gain their purposes in the future and become talents who can contribute for society. Expressing thanks to Sungshin Vina Co, Ltd because of society contributions, Hoai Duc People’s Committee presented handmade gift for Sungshin Vina Co., Ltd and hoped that Sungshin Vina Co., Ltd will develop more and contribute more for the society. And Sungshin Vina Co., Ltd also presented the picture instead of the thanks. 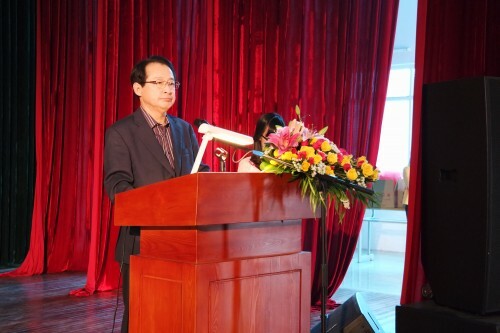 Beside, Sungshin Vina Co., Ltd also presented scholarship for Korea – Vietnam High School with value of 100 million VND. For prolong values brought by this social activity, Sungshin Vina Co., Ltd will attempt to make this become an annual activity of the company in Việt Nam.